Situated in the heartland of the King Country, Te Kuiti is at the junction of State Highways 3 and 30 in New Zealand's North Island. Te Kuiti is best known as the sheep shearing capital of the world. Within easy walking distance from Motel Te Kuiti, you'll find a New World supermarket, The Warehouse, iSITE tourist information centre, and a great variety of shopping and dining options. 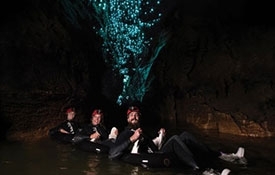 The wider Waitomo District features the world famous Waitomo Caves, where you'll find glowworms, blackwater rafting, abseiling and tours of the magnificent landscape. Rejuvenate your spirit with a ride through the ancient forests of the Timber Trail and expect to be wowed by the views. 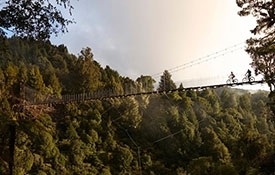 Following old tramlines and specially designed track, the trail is a perfect weekend destination right in the centre of the North Island within easy reach of most of its main centres. There is an 18-hole golf course in Piopio, where sheep maintain the fairways! 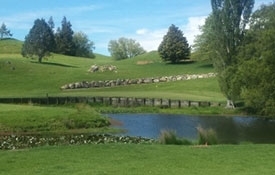 There is also a challenging course at Waitomo. 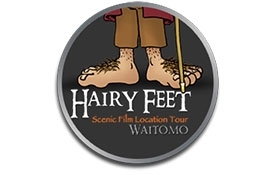 Visit New Zealand's stunning Denize Bluff's farm and tour where Sir Peter Jackson, director of Lord of the Rings Trilogy, filmed extensively for The Hobbit: An Unexpected Journey. Towering limestone cliffs, a primeval native forest and massive rock formations on this Piopio farm, near Waitomo, became the location for Trollshaw's Forest and where Gandalf bestows Bilbo with the sword "Sting". 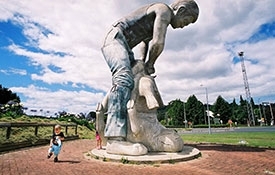 Visit the giant Shearing Statue which weighs 7.5 tonnes at the beginning of State Highway 30. A few other large statues you can find include the Weta Wall and Bronze Bat on Rora Street. 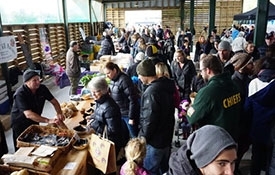 Buying at a farmers market is the best way to connect with where your food comes from. Talk to farmers and learn more about how your food is produced. Find out about sustainable farming practices that these small producers use and that make them so different from large commercial farms.